Fatalities, disorganized events, and public criticism must not entirely distract us from the industry’s potential for growth. Running has become a new religion in China, some say. Others speak of a “great leap forward” in popularizing marathon running across the country. Still others calculate that once a city surpasses $5,000 in per capita gross domestic product, there is a rise in so-called leisure consumerism, of which running is a part. 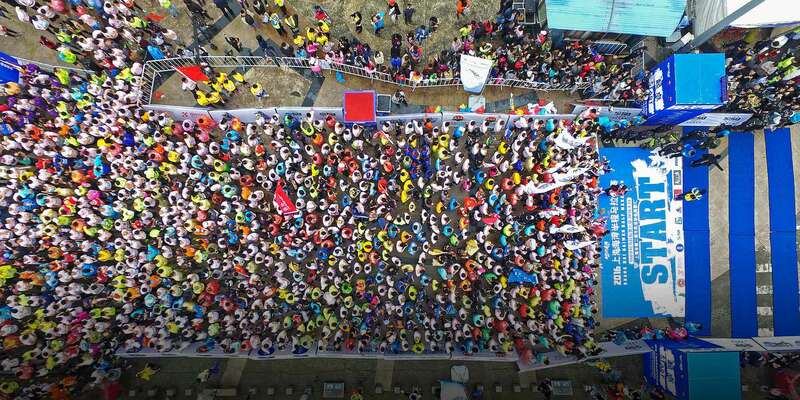 In Europe and the U.S., this is called the “marathon phenomenon.” Indeed, in the last five years, marathons have been held in 133 Chinese cities. Two years ago, the Chinese Athletic Association registered a total of 134 marathon events across the country. Last year, this number shot up to 328, with 2.8 million people participating in total. Businesses, of course, are thrilled to see large-scale events proliferate at such a speed. More than 1,300 individual sponsors were listed nationwide last year. Certain skeptics have pointed out that to expand the sport’s reach, marathon organizers commonly lower the registration threshold and allow large numbers of amateur runners to take part. Often undertrained and unaware of their own limits, these competitors are more likely to suffer injuries or even death. 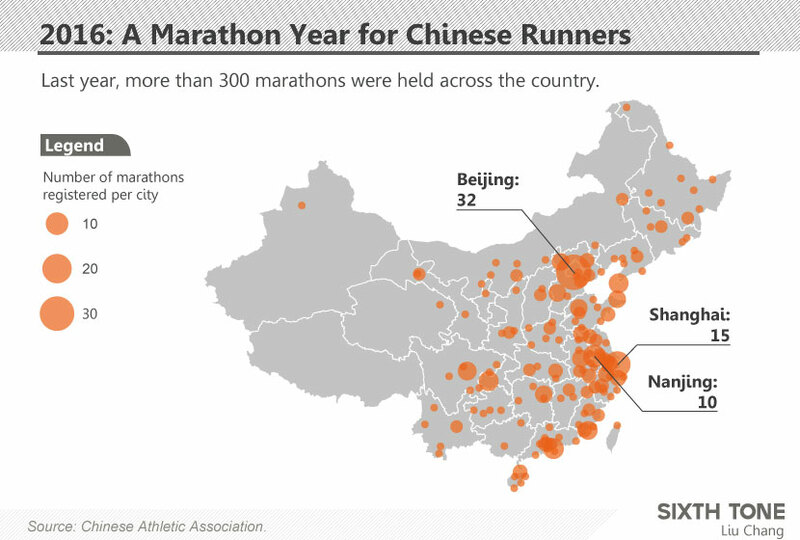 Statistics show that since 2004, there have been at least 22 deaths during Chinese marathons. The latest came on Feb. 14, when a 52-year-old woman collapsed and died during the Hong Kong Marathon. Some critics went further, saying that from the shuttle buses, to the water distribution stations, to the recovery area, the whole race was nothing more than a 42-kilometer billboard. It is true that one of the defining features of Chinese marathons is that municipal governments usually co-opt them in order to boost the local economy, improve their city’s image, and burnish their administrative credentials. However, all sports events — from citywide marathons to NBA games — are incredibly expensive to run. Drawing funding solely from TV licensing rights or runner registration fees is simply not possible. The Shanghai International Marathon, for example, charges runners 120 yuan (about $17) to register. What runners actually get for that price, however, far exceeds the fee: Perks include organization services, Nike running shirts retailing at over 200 yuan apiece, finishers’ medals, towels, refreshments both during and after the race, roadside medical assistance, and personal insurance. Corporate sponsorship is indispensable for its ability to absorb many of these costs. We should not criticize marathons for “selling their souls” to corporate sponsors when the same business model is routinely used in basketball, soccer, tennis, and many other sports. Others worry that marathon courses will become an outlet for social satire. Last year, certain runners ran the route in costume, acting out skits poking fun at poor state medical care, rapidly rising house prices, or marital difficulties. The same critics who equate marathon running with a threat to public health fail to understand that all sports contain an element of risk. Personally, I see no issue with using marathons as a means to raise awareness of social issues. In my opinion, whether that goal is achieved by running to raise money for charity or by using the course as a stage for comic performance is a moot point. One of the most sublime aspects of modern marathons is that they are a conduit for communities to share their passions. If that causes runners to train their sights on social issues, then we should view this in a positive light. 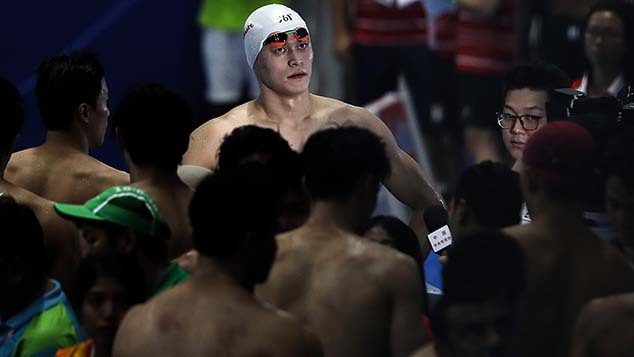 China’s relative inexperience in organizing and promoting marathons has been held responsible in some quarters for the tragic deaths of competitors. It is true that nobody should die during an event that by nature celebrates the best of human ability. However, the same critics who equate marathon running with a threat to public health fail to understand that all sports contain an element of risk. In comparison with cycling, parachuting, scuba diving, and mountain climbing — all sports that welcome a large number of amateur participants — the risk of death during marathon running is actually very slim. Those unfortunate enough to meet such a fate usually do so because of a failure to understand the limits of their own bodies. It is precisely for this reason that Chinese marathons include races of 3, 5, and 10 kilometers to ensure the safety of amateur participants. Yet those who take a dimmer view of the growth of Chinese interest in marathon running are more likely to use public safety concerns as a stick with which to beat industry organizers. Instead, they will claim that the seemingly endless new races springing up across the country — at a rate of nearly one per day last year — show that there are too many marathons, too many participants, and too little organization. Yet last year, China held a mere 328 races, in comparison with more than tens of thousands of marathon races in the United States — all to satisfy the demands of a much larger population of potential runners. Marathon running in China, like anywhere else, is determined by market demand, even though our domestic market remains immature. That said, organizers today are much more skilled than when I began running just three years ago. Competitors have seen a marked difference in how well administrative procedures are managed, how well their physical conditions are catered to, and how well-equipped medical facilities are. There are bound to be further growing pains as marathon running matures in China. Organizers and participants, both of whom had a poor understanding of races in the past, are gaining more experience with and knowledge about marathon running. Yet if we overemphasize the industry’s recent setbacks, we risk creating an image problem for a sport that is fundamentally about acceptance, inclusion, and passion. Chinese running communities are jumping at the chance to welcome people from abroad, because running, to us, is not just a flash in the pan. Neither is it a great leap forward. It is a chance to understand the rest of the world, and for the rest of the world to understand us. 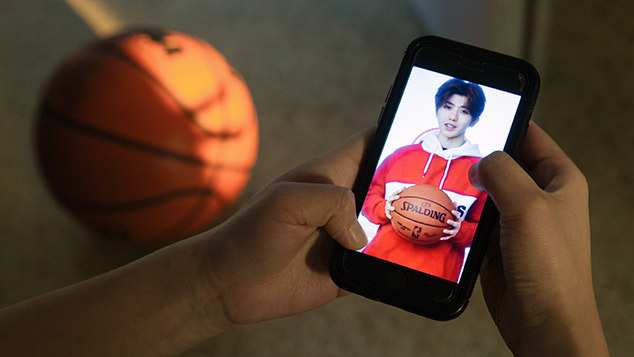 A Chinese version of this article first appeared on 42trip.com. Translator: Xia Ran; editors: Lu Hongyong and Matthew Walsh.